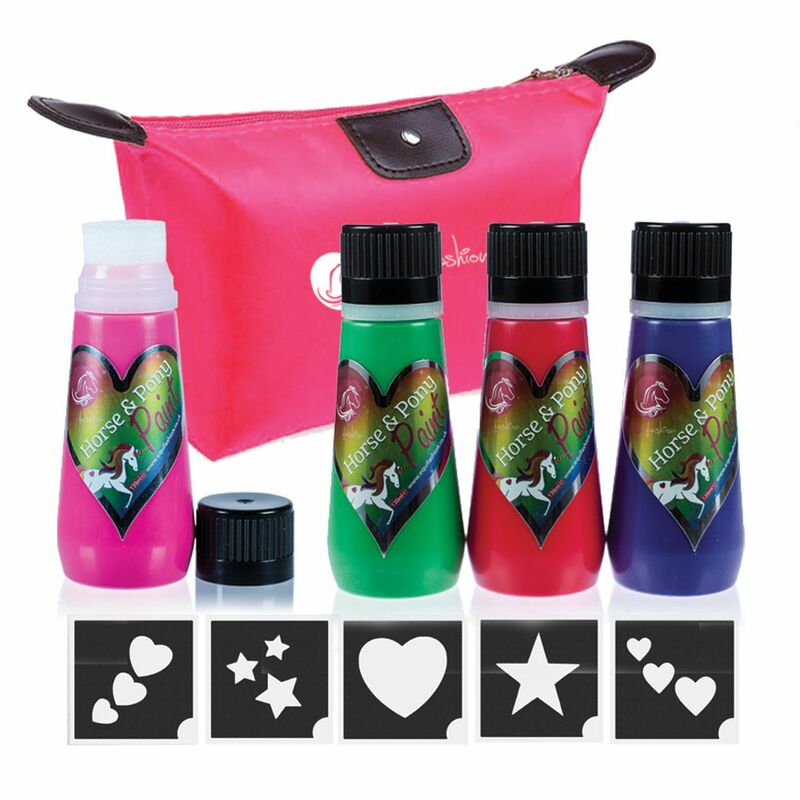 This fantastic Pony Paint set is perfect for creating stunning quarter mark tattoos on your horse or pony. 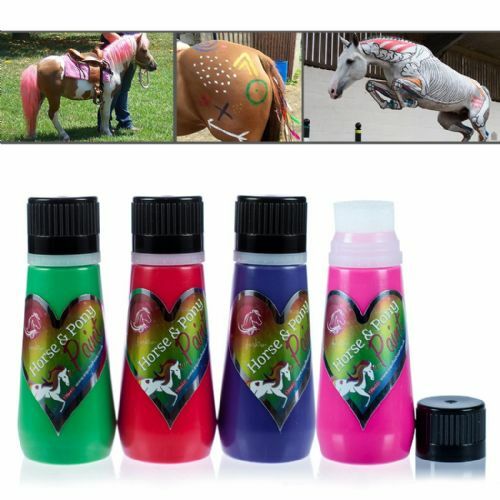 This fantastic Pony Paint set is perfect for creating stunning quarter mark tattoos on your horse or pony. 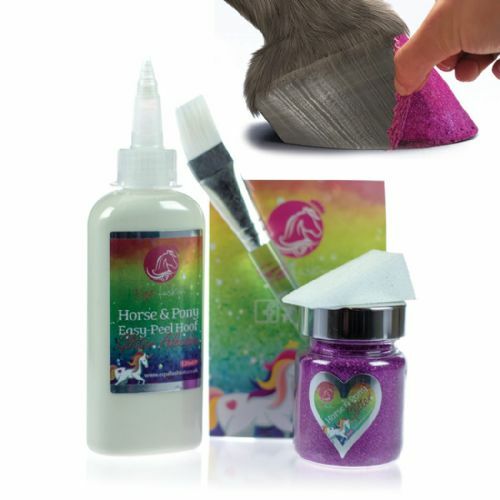 The Horse and Pony Paint is non toxic and water based so washes off easily with shampoo. 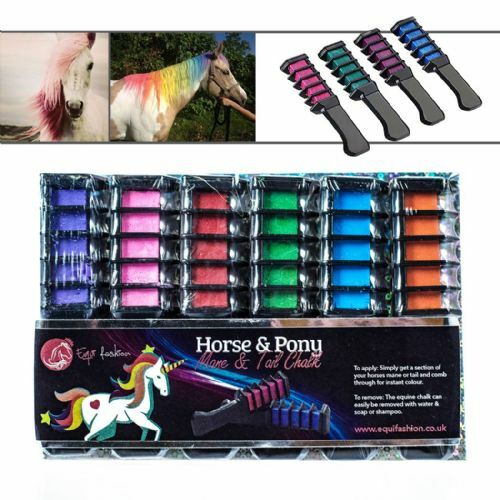 You can safely and easily apply to the body, mane or tail. This is a great way to be creative with the kids and ideal for pony parties. 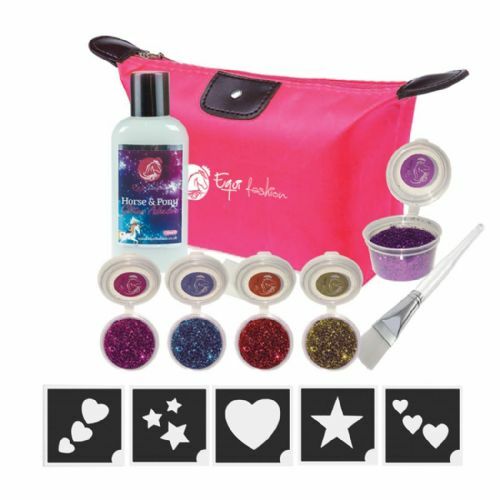 Beautiful kit which was very easy to use, very impressed! 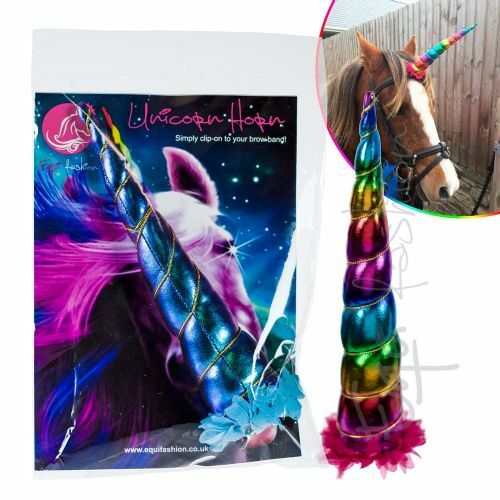 Equifashion Clip-on Horse & Pony Unicorn Horn 8"